I have to be honest and confess that I’m biased when it comes to James Cameron because he hasn’t yet made a movie I haven’t liked. Which compared to a lot of other filmmakers isn’t a lot. I mean, counting AVATAR he’s directed eight movies in thirty years. We’ve got directors who have made thirty movies in eight years. But James Cameron’s movies are all ‘event’ movies and he’s such a meticulous director/writer that he’s in no rush to make a movie just to make a movie. He makes movies that are entire worlds that draw us in and engage us totally and completely into what is happening on the screen. Twenty minutes into AVATAR I completely forgot I was looking at SFX and CGI characters and digital sets. That’s how immersed into the story and characters I was. And I attribute that to the genius of James Cameron. Unlike directors like Michael Bay and Roland Emmerich he knows how to spend half a billion bucks on a movie that makes me feel like I haven’t wasted my money or more importantly, my time. The planet Pandora is extraordinarily hostile to human beings. Even the air is toxic and it seems like every animal on the planet is out to eat every other animal. Pandora also is rich with the mineral unobtanium which is being mined by a corporation that is never named but I’d be willing to bet my ‘Alien’ DVD it’s Weyland-Yutani. The use of unobtanium made me laugh as that fictional element has a very long history in science fiction. Since seeing this movie I’ve heard from so-called science fiction fans complaining about how corny the name unobtanium is and that a name that sounded more realistic should have been used. Which immediately told me that these ‘fans’ weren’t as knowledgeable about sci-fi as they thought they were. The corporation has recruited an army of mercenaries as security to protect the workers from the many dangerous life-forms. Pandora is also inhabited by the Na’vi. An azure-skinned, humanoid race, nine feet tall that live in a quasi-symbiotic relationship with the animals and the land. Jake’s first time out in the bush in his Avatar ends up with him lost in the jungle which he is woefully unsuited to survive in, despite his Marine training. 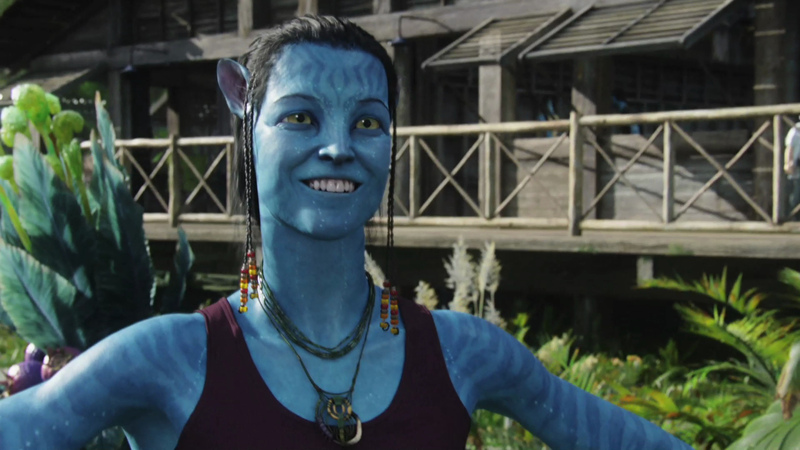 Luckily for him he’s rescued by a Na’vi warrior woman, Neytiri (Zoe Saldana) who takes him back to her clan. There are a couple of her clansmen who aren’t happy with this. Her father Eytucan (Wes Studi) the leader of the clan and his heir, the clan’s best warrior Tsu’Tey (Laz Alonso) who’d cheerfully cut Jake’s throat if it wasn’t for the clan’s queen and spiritual leader Mo’at (CCH Pounder) who persuades her husband to let Jake stay and learn their ways while they learn more about him. 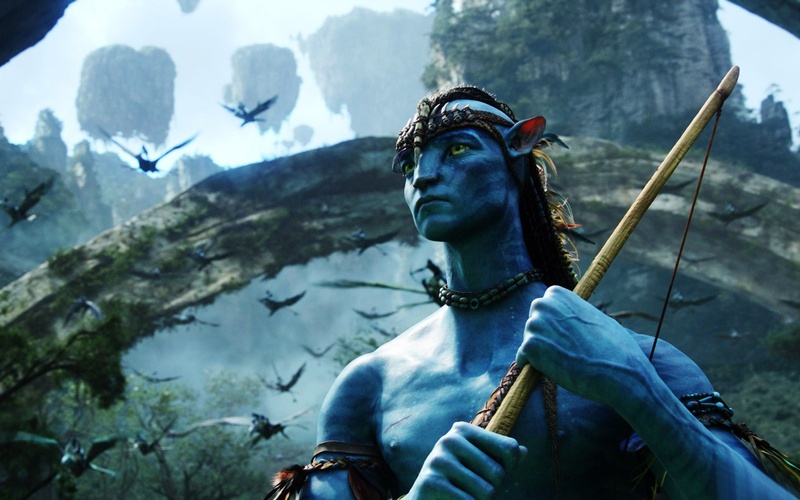 Neytiri is charged with teaching the outsider how to be a true Na’vi. And she does a good job of it. A really good job. Maybe too good as it turns out. Okay, let’s get this out of the way right up front. You’ve probably heard that AVATAR is a big budget remake of “Dances With Wolves” in sci-fi drag and to an extent, it’s correct. But I’ve seen plenty of other westerns about a white man going ‘native’ and adopting another culture. There’s elements of “Lord Jim” and “The Last Samurai” and “The Mission” in here as well along with half a dozen other movies. 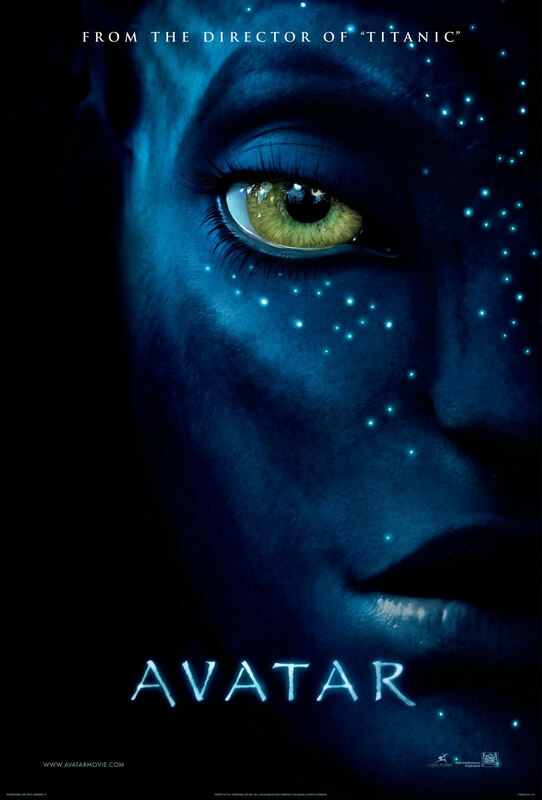 But AVATAR is told so well and the special effects are so magnificent that all that becomes unimportant. James Cameron spends a considerable amount of time on the Na’vi way of life as seen through the eyes of Jake and we, along with him soon have a respect and fascination for their world and their relationship. Sam Worthington really sells the movie, along with Sigourney Weaver; whose Avatar is so realistic and looks so much like her it’s almost creepy. And any director who can make me like Michelle Rodriguez is okay in my book. For once she’s not playing the perpetually pissed-off Latina and does some real acting here. Giovanni Ribisi and Stephen Lang aren’t served as well as the other actors by the screenplay. Their characters are so one dimensional that right from their first scenes they’re gnashing their teeth, yelling “Crush! Kill! Destroy!”and planning to wipe out the Na’vi. And that’s just about the same note they play through the whole movie. And AVATAR makes the same mistake “Star Trek: Insurrection” made. Remember how in that movie Starfleet wanted to remove a relatively small group of natives off their own world in order to exploit the anti-aging properties of the planet? Now the big flaw in that thinking was this: why couldn’t everybody share the planet? I mean, it’s a pretty big planet. Lots of room for all, I should think. In AVATAR, whenever Giovanni Ribisi started in about there being such a rich deposit of unobtanium under the sacred Hometree I asked myself why couldn’t the corporation find another deposit somewhere on the planet and spare everyone a lot of needless bloodshed and violence. But James Cameron works so hard at making us hate the corporation and the mercenaries that angle is never explored. And Cameron pounds the pro-environmental angle into our foreheads at every single opportunity in a not very subtle fashion. Having said all that is AVATAR worth your time? Sure it is. It’s a James Cameron movie and once again he’s presented us a movie full of life, meticulous detail, astounding action sequences and exceptional acting. Sure the story is pure 50’s science fiction pulp adventure but its 50’s science fiction pulp that makes us care about what we’re watching and that makes all the difference. If you swap out the blue aliens and exchanged them for native American Indians. Then switch the main charter with John Smith and the female alien with Pocahontas you would have a retelling of that legendary tale. The 3D special effects were great, but for me the actual story was too predicable.